Port Press Face Off: Are Flying Fish An Affront to Nature? Are Flying Fish an Affront to Nature? Bring back the cheese questions. Flying fish get a lot of flak for being, well, flying fish. “Fish shouldn’t have wings; that’s just creepy,” and “Why does something that lives in the ocean need to fly?” are a couple of the many commonly used phrases to scoff at the perceived uselessness of the animal’s wings. This is an understandable reaction; why should something that swims its way through life have wings at all? However, looking deeper into the causes and effects these wings have on the fish’s physiology, behavior, and society reveal just how useful these appendages really are—and why dissidents should give their utility a second thought. First, we should address exactly what these wings are used for. 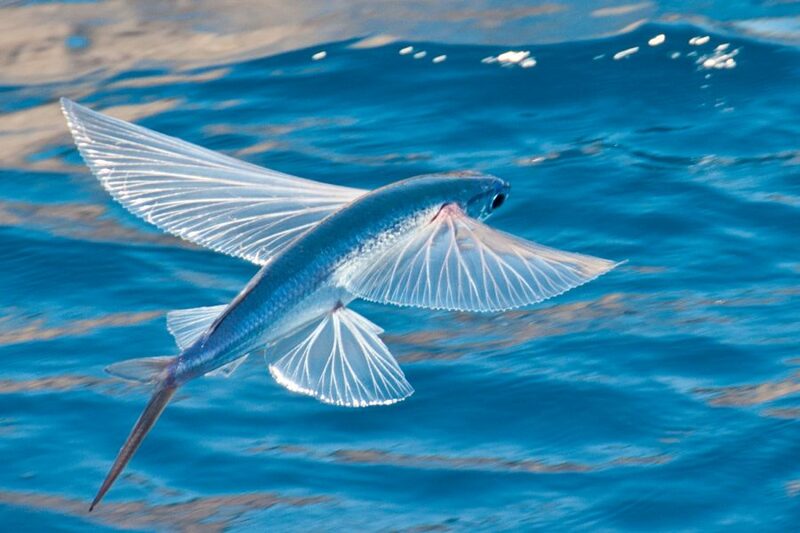 The term “flying fish” is a bit of a misnomer, as these creatures do not fly. Rather, their movements above water are perhaps better served by the term “gliding”. This is because they do not power their flight beyond their initial leap out of the water into the sky. Much like a college dropout who left school to found a startup company specializing in the manufacture of edible colored pencils, the fish will eventually be brought back down to the elevation it had started at. So what’s the point, then? Well, these fish use their wings to glide away from predators and their problems. By some accounts, these slippery deviants can float their way through up to 655 feet of sky before having to face their realities again. In addition, they take off at around 37 miles-per-hour, so standing in front of one is most certainly not advised. As it turns out, this strategy is quite effective. Different species of flying fish inhabit every corner of the Earth’s oceans, and they’ve existed for millions of years. Now that we’ve established how flying fish use their wings, there may still be those in the audience who maintain that they are still bizarre disgraces that fly in the face of Mother Nature herself. While they do look somewhat like the unholy amalgamation of a frightened porgy and one of Da Vinci’s flying machines, we must look beyond the scales of these creatures to see their true worth. That is to say, the true value of these fish lie in their unabashed pursuit of their dreams. Indeed, the forerunners of the modern flying fish made a resolution, whether consciously or unconsciously, to not die horribly. As such, they pursued their dream without rest or hesitation for generations upon generations. Through the ages, they literally sprouted wings to escape their demise, becoming wonderful fairies of the sea in the process. Through hard work and dedication to their cause, flying fish joined the ever exclusive upper echelons of animals who can fly without the help of large chunks of metal, a community which includes members as prestigious as birds and some weird squirrels. There should be no reason to hate flying fish for following their collective dreams. I, for one, believe that the undue misrepresentation of flying fish as slimy salamanders who traded their legs for wings is unfair, and should be rectified within our civilized society. As such, I have prepared a suggestion—a grand plan of sorts. 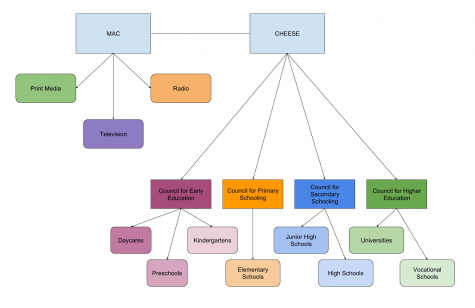 We, as a people, have a responsibility to launch a Media Adjustment Campaign (MAC) accompanied by a Council for Honest Explanation and Exemplification in Scholarly Education (CHEESE), together referred to as the MAC&CHEESE paradigm (Fig 1). Simplified, the MAC portion of the project will serve to use the media to realign the peoples’ impressions of flying fish into more accurate and less hateful perceptions. Through increased representation via greater representation in film acting roles and increased news outlet coverage, the MAC will help to bring the image of flying fish as profoundly beautiful creatures to public light. Acting parallel to the MAC, the CHEESE is designed to guide discussion of sensitive, flying fish related topics in academic environments across the nation, ranging from primary education to university teachings. Curriculums in history, politics, and marine biology will be realigned to include the corrected perception of flying fish. Of course, this naturally involves rewriting and reprinting new editions of textbooks, but any expenses in public and private institutions will be subsidized through the CHEESE. I firmly believe that together, we can use the MAC&CHEESE as a powerful tool to guide our society on the right path in accepting flying fish for who they really are: not as gross and weird and Nature’s 57th mistake, but as individuals just like you and me who follow their dreams to soar through the vast sky above. Living in Northport, surrounded by maritime paraphernalia and an easy-going coastal spirit, it is hard to imagine any great danger befalling our neighbors and besieging our quaint and humble town. The truth is that we don’t have to imagine it– no great danger in the form of North Korean Submarines or Iranian dirty bombs or even simple water pollution. We don’t have to imagine it because it already happened. Many years ago, reaching back to near-ancient generations, our quiet streets and simple abodes suffered from a constant onslaught of flying fish– nature’s own abomination. In history and the years before it great throngs of these winged creatures would stage ambushes from the Sound, slicing through any who tried to defend themselves with their razor-sharp wings; before carrying away small children back into the watery abyss from which they emerged. These battles were not unique to Northport– all over the world, from the rivers of Ancient Babylonia to the frozen wastes of modern Siberia, man and flying fish are locked in eternal combat. I understand that this might sound a bit outlandish, or even insane to some, but I ask that you listen to my words, for they are indeed fact. There were records of our wars with the flying fish until our original local library burned down in the Great Fire of 1904. Ironically, the records of this fire were lost to another fire when it consumed the journalist’s office on the other side of town. The records of that fire were also lost in another fire that occurred a few years later. Nonetheless, I plead that you should take a leap of faith and heed my warnings, for the flying fish menace is a real one. The violence of flying fish make them an affront to the natural order. Nature allocates for killing in the form of carnivores and defense, but slaughter is unnatural. The all-consuming roaming hordes of flying fish picks the land clean. Turn your gaze to the seafloor, and mark how there is not a single tree left! Not a bush or blade of grass remains, and now the winged demons from the depths massacre entire schools of fish faster than a fisherman could ever hope to! Nature designs animals who kill to survive. They kill to maintain their safety and the security of their position in the food chain. Flying fish kill in the most brutal ways for mere sport. Their concern is not their own survival, but the complete and absolute destruction of everything else. Nature produces carnivores, but not butchers. Flying fish further upturn the natural order by their arrogant assumption of habitation in every terrestrial sphere: on land, in the air, and, of course, beneath the waves. Nature creates creatures and assigns them each a single terrain to inhabit. The shark knows that its home is the sea, the boar dares not venture off land, and the hawk stays within the air. The flying fish, however, has declared itself to be better than nature, and thus lives in the water, hunts on land, and travels in the sky. It professes its own presumed greatness in this manner and cares not for the standard of Nature, its creator. Flying fish expect Nature to kneel to them, instead of every other creature who roams this earth and pays homage, or at least respect, to Nature. The vainglory of the Flying fish species does not stop there. In their evolution they have decided that respectable fins were not enough to sate their hunger for pure killing power. They grew wings out of spite for the living, great sharp beams of scales from either side of their body meant for no other reason but to kill and fly. And why did they wish to fly? So that they might travel greater distances, reach greater heights, and kill greater numbers. Their entire anatomy is one formed in the hottest forges in the depths of Hell. They are an unholy conglomeration of pieces not meant to be together, and of pieces that never should have been together. Such a monstrous summation of monstrous parts stands as an insult to every natural article that Nature has created. These facts of the sociology and anatomy of flying fish, along with their bloodstained history, have lead me to the ultimate conclusion that flying fish are the most vile affront to the natural order the world has ever seen. I must doubt that they are a creation. I must doubt that they are Nature’s own abomination for they are not created by Nature, but rather by hammer and anvil by the demons of Hell. I beseech you, heed my works! Lie not in contemptuous sloth, but take up arms to defeat this winged menace! Send them back to the waters from which they came from, and when we have done this, send them back to Hell! If they have no place in the natural order of Earth, then dismiss them from it!